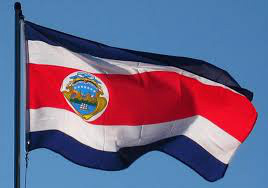 Not one for nationalism, I love the Cosa Rican National Anthem. Unlike the rousing and revolutionary Marseillaise, with its exhortations to tear out throats or Hayden's splendid music forever shamed by its misuse in the German national anthem, ours is uplifting and peaceful. The scenery in the link is great too.